I write this letter with the utmost gratitude and respect. You see, unlike your predecessors, this time you and your Committee acted quickly, decisively and appropriately to a rapidly evolving political and macro-economic world. It is hard to contemplate what Congress has charged the Federal Open Market Committee (FOMC), and you, to do. First, you must use short-term interest rates and other policy measures to try to govern the rate of economic growth in this country. Both Inflation and recession are to be kept under control. Over time, interest rates must be kept “moderate” which, in and of itself, is a relative term. Second, you have been tasked with keeping the unemployment rate at a “maximum” level or “full unemployment”—another moving target. 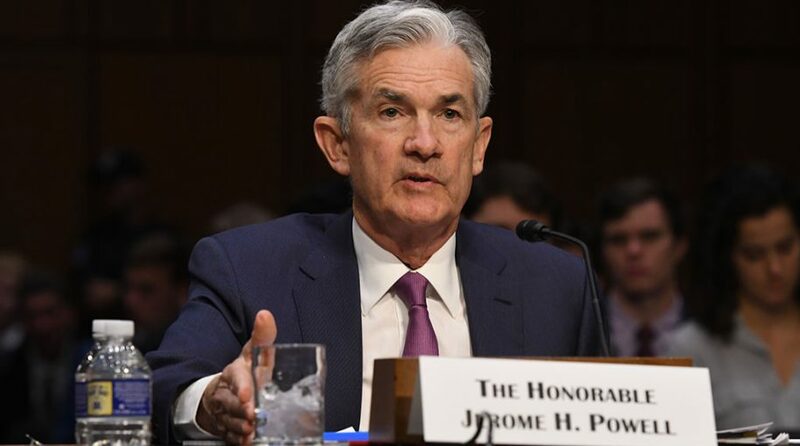 Finally, the Federal Reserve has been asked to provide price stability in the financial markets, especially during volatile times, when the markets themselves cannot agree on a fair price. Rush. Past FOMCs have tended to raise rates too far, too fast. It takes time for the rate hikes to take effect and work their way into the economy. By openly pausing this round of rate hikes, perhaps you have staved off the next recession. After all, 82% of all recessions have been preceded by FOMC rate increases. For instance, in 2004-2006, the FOMC raised rates by 25 bps 17 meetings in a row. Now we can’t blame all of 2007-09 on the FED, but the FED’s track record in this regard is not stellar. You can always raise more if warranted, but with a trade war in full swing, a global economy that has seen manufacturing and trade decidedly turn down, and with consumer and business sentiment plummeting, it made sense to pause and be patient. We also like the fact that your increases did not occur at consecutive meetings, but rather allowed some time to let the effects take hold in a more digestible manner. Fold. Our President is strong-willed and gave you more than a little pressure to do his bidding. You did not bend and you did not break. You firmly reestablished the independence of the FED from the rest of the Government. A little backbone is welcome in Washington. Drive Blind. Well, at least you didn’t drive by only looking in the rear-view mirror. Past FOMC policy seems to have looked backwards when addressing your mandates and the economy. Sometimes the current information and situation is more important than adjusting policy to address the excesses of the past. The most striking difference is that you recognized and acted on this premise. The current economic slowdown needs to take precedence over “normalization”. We have plenty of time to normalize rates and the FED’s balance sheet but pushing the economy into a recession is not the desired course. Turn a blind eye. Tariffs, in our humble view, are the worst instruments to undertake punishing one or more nations for unfair trade practices. Often tariffs have unintended consequences like hurting innocent allies or even our own American companies. The last time tariffs were used broadly by the United States was in the 1930s. Smoot-Hawley enacted tremendous tariffs in 1930 and the trade war they kicked off shrank world trade by two-thirds in five short years. Just like then, the reduction in trade is starting to be devastating. At the beginning of 2018, 98% of the OECD and satellite member nations demonstrated economic growth. One year later, this number fell to 68% and the economic trends for many more countries does not look promising. You and your Committee recognize the global manufacturing slowdown and your willingness to adjust on the fly is most refreshing. Dig in. 2007-09 brought tremendous strain to the global economy. Banks were failing. Collapse was a real possibility. In response, the FED lowered short-term rates to essentially zero, massively increased the money supply, and implemented multiple Quantitative Easing (QE) programs including buying ~$3.7 trillion in Treasury and mortgage-backed bonds to support the economy. This ~350% increase in the FED’s balance sheet helped stave off another Depression, but all good things must come to an end…or at least go back to “normal”. Thus last year the FED announced a methodical way to lower its balance sheet: allow $600 billion of bonds/year to be sold or allowed to mature without replacement. This was, and is, QE reversal.